Mark Alan Ruffalo is an American actor, the star of Avengers, Spotlight, Shutter Island, Just Like Heaven, and others. 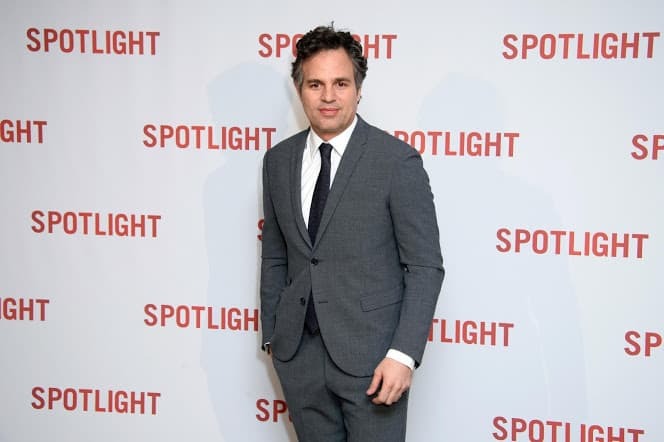 Today, Ruffalo is one of the leaders in the number of nominations for prestigious movie awards: he has been nominated for more than 130 prizes and won 27. Mark was born in Kenosha, Wisconsin. The boy’s mother, Marie Rose Hébert, worked as a hairdresser and a stylist, and the father, Frank Lawrence Ruffalo, an artist in training, was an interior designer. Mark had two sisters, Tania and Nicole, and a brother Scott. Ruffalo spent his childhood in Wisconsin. When he was a teenager, the family moved to Virginia where Mark took an interest in martial arts. At the same time, the young man was fighting dyslexia that hindered with his studies. Later on, the family settled in San Diego, California. As he graduated from school, Mark entered the Stella Adler Conservatory and started playing and directing at the Orpheus Theatre. Cinematography attracted the future star; he did not miss castings. For almost ten years, the young man worked as a bartender to earn his living. At 33, he finally got the role that made him famous and financially successful. Mark Ruffalo began to appear in movies in 1989 and regularly played in the 1990s. However, only the 21st century brought him the significant role in the drama You Can Count on Me. The movie made the actor recognized. Further on, the actor worked on View from the Top with Gwyneth Paltrow and the romantic movie Just Like Heaven starring Reese Witherspoon. The actor’s roles in the detective Zodiac with Jake Gyllenhaal and the crime comedy The Brothers Bloom starring Rachel Weisz were splendid. In 2010, the director Lisa Cholodenko created the movie The Kids Are All Right. At the beginning of his career, Mark Ruffalo watched Lisa’s High Art and told her he would like to collaborate with her. Cholodenko remembered the artist’s words and offered him the lead part in The Kids Are All Right; later, she said she created the role for Ruffalo. The movie was nominated for the Academy Award four times; Mark was among the nominated actors. In 2010, Ruffalo directed the movie Sympathy for Delicious; it was showed at the Sundance Film Festival and won the Special Jury Prize. 2013 was marked with two movies with many star actors. In Now You See Me, Morgan Freeman, Michael Caine, Woody Harrelson, Isla Fisher, and Jesse Eisenberg became Mark’s stage partners. In Begin Again, Ruffalo collaborated with Keira Knightley and Adam Levine. The audience warmly welcomed the movies. In 2016, the sequel Now You See Me 2 came out. The new wave of success pertained to the psychological thriller Shutter Island where Mark Ruffalo cooperated with Leonardo DiCaprio. The movie was successful all over the world. The teenage audience likes another Mark’s character, Bruce Banner, who transforms into Hulk in the movies Avengers, Avengers: Age of Ultron, and Thor: Ragnarok. Those who love drama stories appreciated the sports movie Foxcatcher and the biopic Spotlight. Both movies brought Ruffalo the Academy Award nominations. The 2014 drama The Normal Heart stands out in the actor’s filmography. The leading Hollywood stars participated in that project. The movie tells the story of several New York citizens who try to draw public attention to the HIV/AIDS issue. Besides, the movie raises the question of LGBT people. Several openly gay artists were involved in this project. 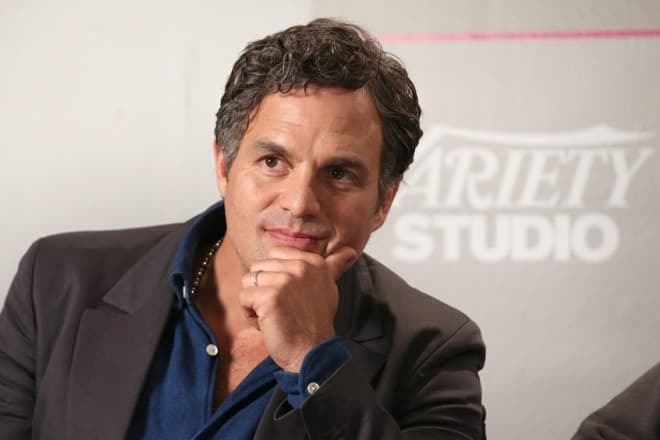 Mark Ruffalo played a gay man; later, he confessed it was a challenge for him. The movie received many positive reviews, and the cast was nominated for Emmy. 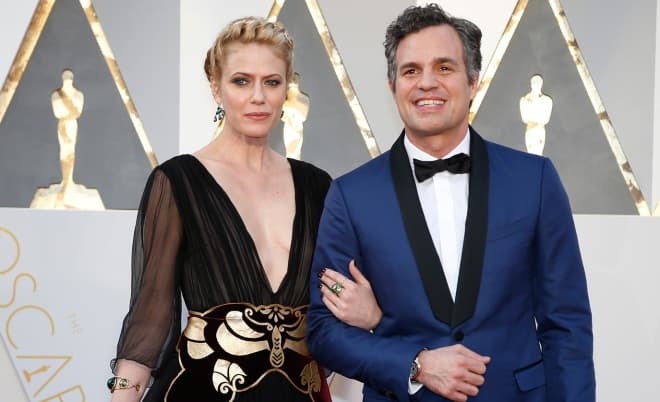 In 1999, Mark Ruffalo met Sunrise Coigney, a French actress and owner of a jewelry store. In summer 2000, they married, and their first child, the son Keen, was born. In 2005 and 2007, the daughters Bella Noche and Odette were born. Ruffalo is a social activist. He openly stated his anti-war position when the United States brought the military troops to Iraq. Besides, Mark publicly demonstrates his attitude to animals: the man is a vegetarian. The actor founded the fund Water Defense the purpose of which is to improve the quality of water all over the globe. In 2016-2017, Ruffalo participated in meetings against President Donald Trump. 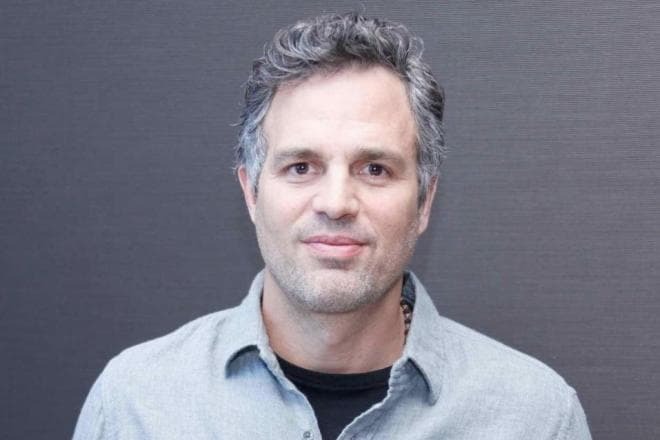 Just like other celebrities, Mark Ruffalo has a verified Instagram page where the actor’s fans may find his personal photos, backstage pictures, and videos. Besides, Ruffalo is a Twitter user. Not many people know that the artist could have died in 2002: he was diagnosed with a brain tumor: vestibular schwannoma. The surgery was not successful: Mark’s face was partially paralyzed. Although there is no threat to the man’s life now, the actor can hear only with his right ear: he is deaf in the left ear. In 2008, there was a tragedy in the actor’s family: his brother Scott was shot dead in his own house. The suspect woman died of a drug overdose, and the alleged accomplice said he was playing Russian roulette, so that was no murder. The actor Heath Ledger who also died that unfortunate 2008 was Mark’s close friend. Ruffalo is also on friendly terms with his colleague Gael García Bernal. In 2017, Forbes included Mark Ruffalo in the list of the highest-paid actors: his $20 million income made him number 20. In April 2018, the audience saw the actor playing invincible Hulk in the new superhero movie Avengers: Infinity War. The Avengers united their effort with the Guardians of the Galaxy and Doctor Strange to fight Thanos who wanted to conquer the reality. It was the first time Marvel fans saw the main characters of the universe in the same movie. The actor was going to participate in David Gordon Green’s Newsflash with Logan Lerman and Seth Rogen. However, there is no information about the project. The political drama The True American will be shot soon. The story is based on the true story described in The True American: Murder and Mercy in Texas by Anand Giridharadas. Several days after the September 11 attacks, Mark Stroman from Texas decides to find the terrorist among the people who arrived in the country on his own. The premiere is scheduled for 2019. Mark is also collaborating on the drama I Know This Much Is True with the director Derek Cianfrance. Little information is known about this project.